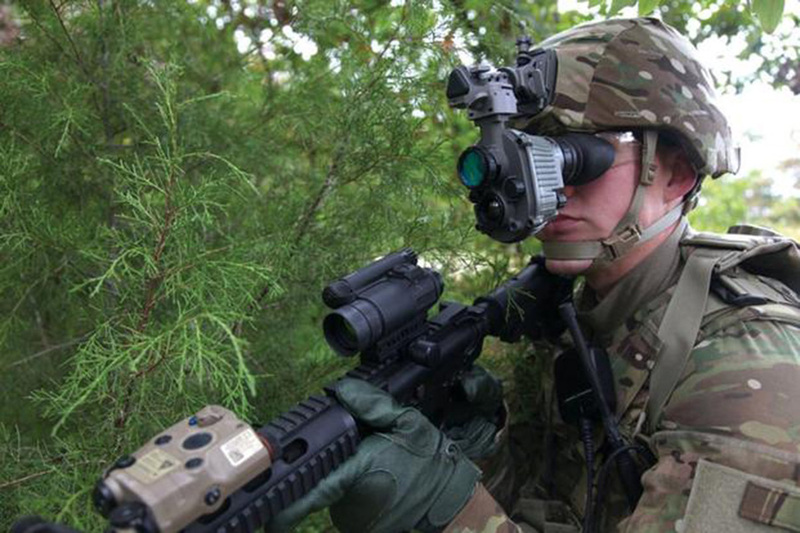 The Army is slated to release the newest Enhanced Night Vision Goggle-Binocular (ENVG-B) to a select number of combat units sometime in fiscal year 2019, according to the Soldier Lethality Cross-Functional Team (CFT) officials. According to 82nd Airborne Division soldiers who field-tested the new technology, the new ENVG-B is a “game changer” providing soldiers with a unique advantage against an adversary, said Brig. Gen. David Hodne, soldier lethality CFT director, during the Association of the U.S. Army’s Annual Meeting and Exposition. “Much of this effort is informed by the findings of the 2017 Small Arms Configuration Study. Coinciding with the new squad rifle system, PEO-Soldier recently released a “draft Prototype-Opportunity Notice” to help develop a 6.8mm common bullet cartridge, Potts added. The goal is to have lethal effects on targets beyond 300 meters. The Phase II Prototype Opportunity will ask vendors to propose an automatic rifle, a rifle and a common cartridge. “There’s a great logistics support function to having a common cartridge on the battlefield,” Potts said.